Look to ensure a distance 11.7 inches (30.0 cm) between Daylily 'Druid's Chant' seeds when sowing to make sure your seedlings have enough space. Daylily 'Druid's Chant' normally grows to a mature height of 1.00 metres (that's 3.25 feet imperial) so ensure you have enough space in your garden for this plant. Your garden is in partial sun light: plant in a location that enjoys full sun. 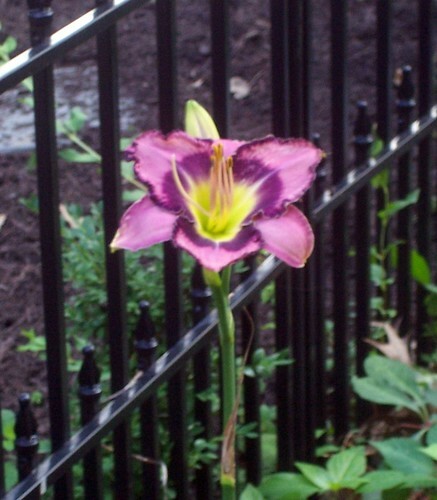 Your garden's USDA Hardiness Zone (7b) is within the ideal range for Daylily 'Druid's Chant'. The recommended range is between Zone 3 and 9. Daylily 'Druid's Chant' tends to grow best in a soil ph of between 6.0 and 7.0 meaning it does best in acidic to neutral soil. More information about Druid's Chant is available in the Folia gardener's wiki. All Druid's Chant Care Instructions have been kindly provided by our members. Isn’t it though? I bought it on clearance at the garden centre a few years ago because I liked the name and without any idea what it really looked like, and was pleasantly surprised when it bloomed the next year. I actually moved it to be right by the front gate so everyone can see it.